At Home with Chas: Kefir again, but this time with water! Kefir again, but this time with water! Sorry for the silence. It has been a very long, taxing month or so. I'll fill you in later. There are stories of God's goodness and so I look forward to chat with you soon. In other news, during my absence, I have embarked on a new adventure with Water Kefir! Kefir is a probiotic beverage made with either kefir grains or a powdered kefir starter culture. There are two types of grains, milk kefir grains and water kefir grains. 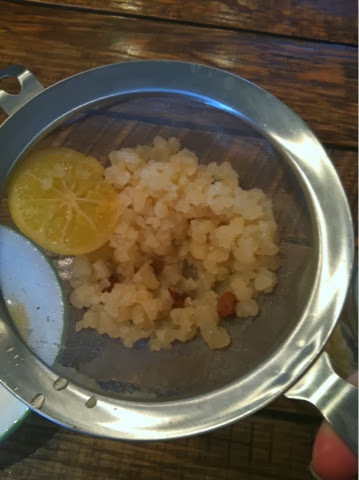 Milk kefir grains can be used with cow milk, goat milk, or coconut milk. 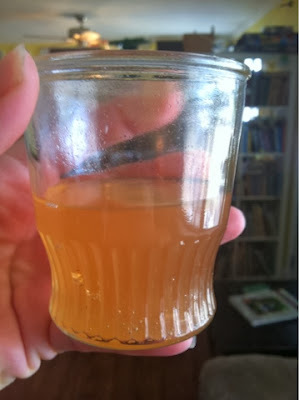 Water kefir grains can be used with sugar water, juice, or coconut water. Kefir grains consist of bacteria and yeast existing in a symbiotic relationship. The term kefir grains describes the look of the culture only. Kefir grains contain no actual "grains" such as wheat, rye, etc. This house is a fermenting workshop. I have a continuous brew kombucha set up now, I have milk kefir (finally after my eldest accidentally poured my grains down the sink, ack! ), I have water kefir now and I almost always have my sauerkraut and sourdough going. If you come by, you will see my kitchen may look more like a mad scientist workshop, rather than a kitchen. LOL! Ok, back to the kefir. My adorable friend Ashlee actually scored the grains for me and helped me get started. She's awesome like that. What you do is take your grains... I have quite a few here in the picture below. I am about to separate them and share with a friend. Once time has elapsed, uncover and strain. 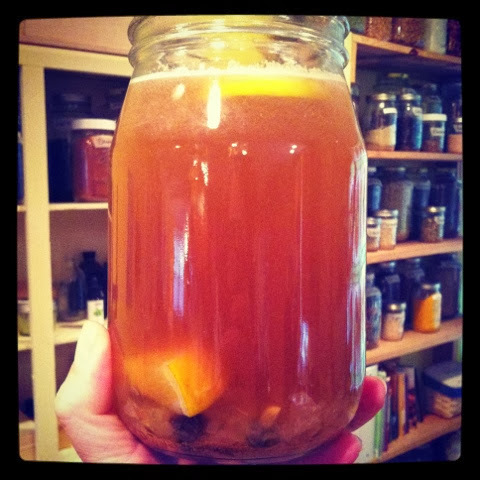 Now you can bottle and flavor your water kefir. So far my favorite flavor is grape. I canned my grape juice from last year. I have also used white grape and my family loves it! Add about 20% juice to 80% water kefir, bottle and let it sit out overnight... you can with more juice if you like. It's just my ratio. Stick your bottles in the fridge the next morning and you will have a nice fizzy fruity drink in the afternoon. Start slow. You don't want to overdo any probiotics. Your body is probably not used to them and you could have some tummy issues. So 1/4 a glass or even 1/2 is a good way to start adding. Water kefir is not as strong as milk kefir, so you can work your way up a bit easier.